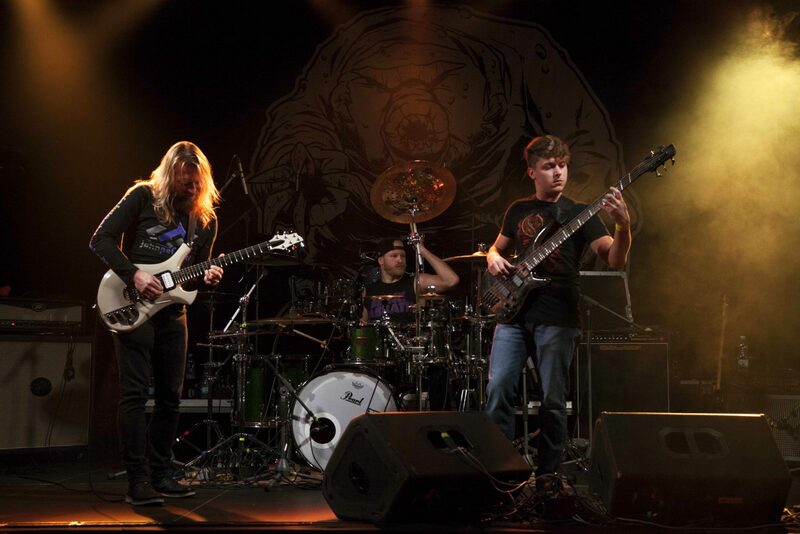 We are an instrumental trio from Prachatice, Czech Republic. Vivat Joe! repertoire is based on its own compositions complemented with reworked songs. Although we preffer to perform in music clubs we can do well on a large stage too. We adapt our sound arrangement to the actual audience with several extensions of the drum set and various guitar amplifications. 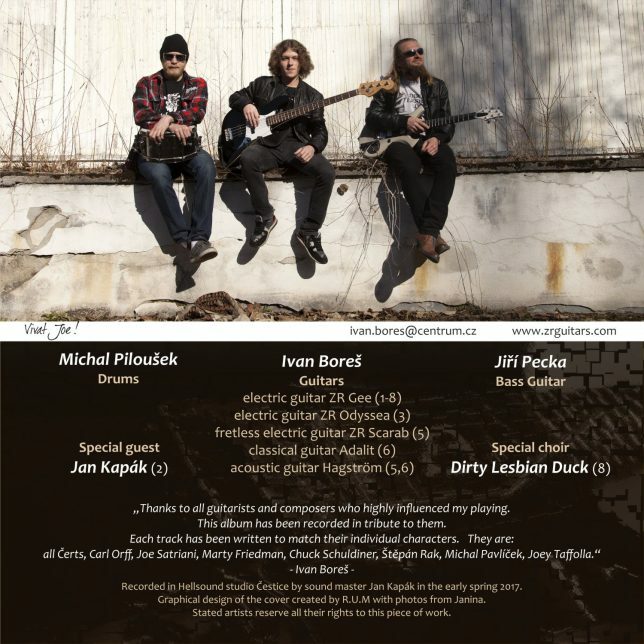 Our music foundation is an electric guitar played by Ivan Boreš. A solo guitar is accompanied by drums (Michal Piloušek) and bass guitar (Jiří Pecka). Though we play mostly our own compositions, there is not unified music style for all of them. Each song has a different character often strongly influenced by some brilliant guitarist famous for his technique. We pay a tribute to these people. We do songs in various rock-style modifications. We are an instrumental art-rock trio. There is a first studio album recorded in Hellsound Studio – Czech Republic in spring 2017. You can listen it right here. 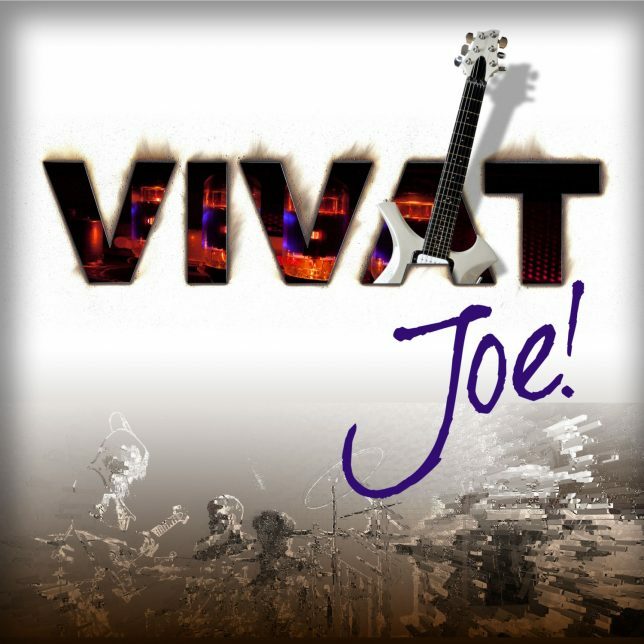 Spotify player for Vivat Joe! debut album released in 2017. 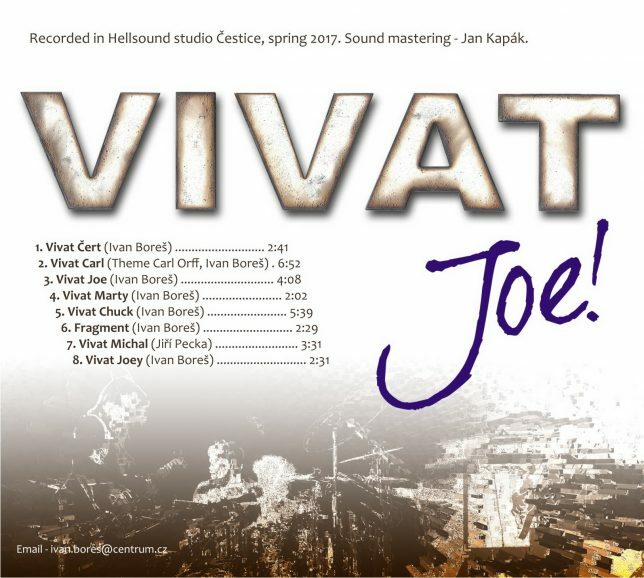 Vivat Joe! CD 2017 – Cover back side. This album is available in best quality for download from our Bandcamp space. You can get a single songs or full album for 100CZK. Please, follow link bellow. Vivat Joe! by Vivat Joe!